I was looking for a large purse that could carry virtually everything. I have found it. This bag will hold all of my necessities plus more. You can see in the picture that I carry a LOT of things. 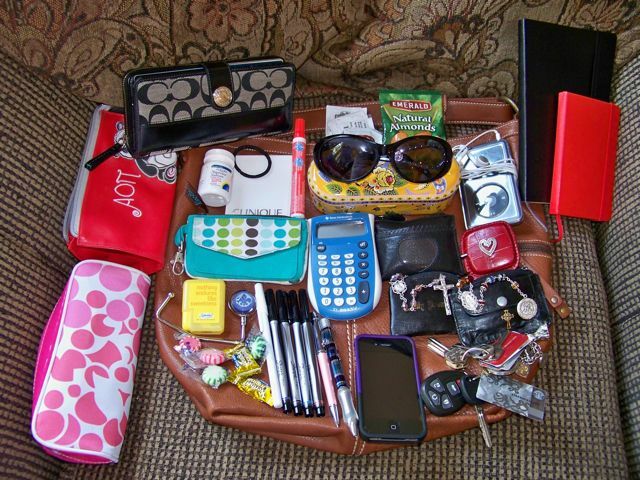 I have a wallet, cosmetic bag, pen bag, sunglasses in a hard case, two Moleskines, iPod, iPhone, keys, and other miscellaneous items totally roughly 25 items. After I put these in my bag, I could still fit more in there. I’d estimate that a book (or eReader) and even possibly my 13″ MacBook Pro could fit in there if I organized things in a few more pouches. So it is perfect for my needs! 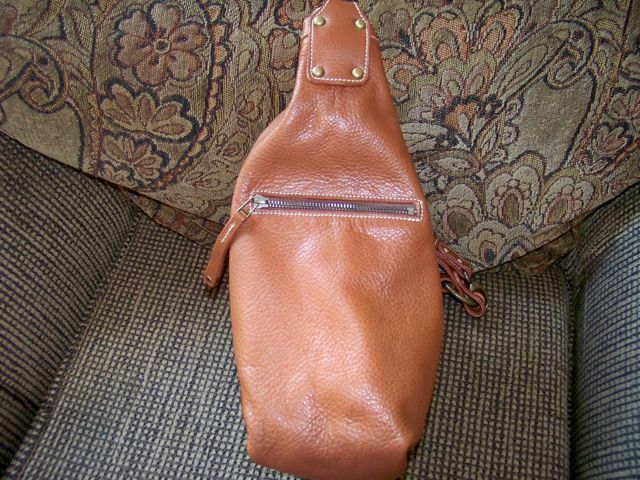 So, what does this awesome bag look like without my essentials crowding over it? Here it is–a beautiful tan leather that will work with any color outfit, just in case you were wondering. I never was a big fan of tan leather since I mostly carry black purses & bags, but after much urging from my husband who has as much fashion sense as any editor of Vogue, to be honest, I succumbed and bought one. I have to say I LOVE the tan/saddle leather. It looks great with any color! 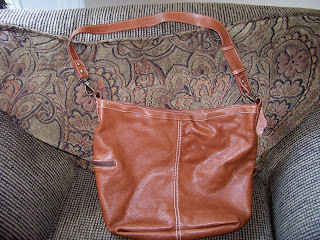 You can see that the handle drop is short so the bag can be carried close to you, but it is also adjustable to a longer length, although it seems to only adjust to two lengths (Roots, if you see this, is there more than 2 lengths to adjust it to? If so, please show me how!) You can also see that the stitching on the bag is simply gorgeous. 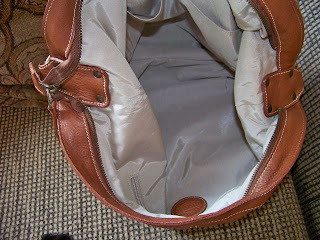 The interior is very roomy, containing two open slip pockets, which will hold my iPod & keys, and a large zipper pocket, which will hold my bag hook/holder and Splenda tablets. 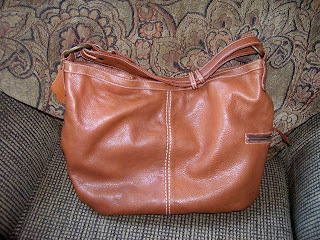 So, what is my final ruling on the Roots Large Hobo in Vintage Prince Leather…again, an A for Roots Canada! They have yet to disappoint in there products that I’ve ordered. I can say that I will definitely be ordering more products from Roots, and I highly recommend them to, others as well.